97-month is almost eight-years, Now! 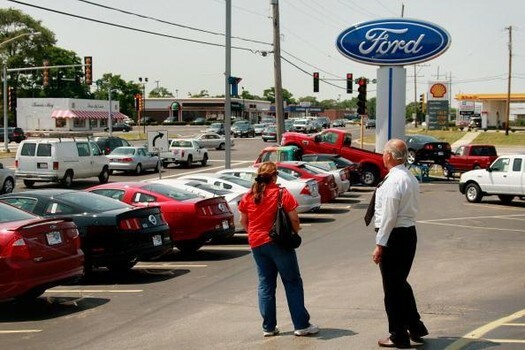 some car buyers, banks, and auto sales companies thinks 97-month Car Loan Payments is good and as a matter of fact, its becoming an important trend in U.S auto industry. According to The Examiner site, "offering a 97-month car loan is becoming an important trend that is 'rippling through the U.S. auto industry'." They added that 97-month car loan appears to be a win-win situation for everyone involved. In this situation, many auto industry can attract more car buyers who would enjoy the longer terms of payment in a low cost of monthly amortization. But the downside of this 97-month Car Loan Payments is you need to spend many months or 8-years to completely paid the deal. While other car dealers who are concerned about selling less used cars still have mixed feelings about the extended car loan. For the meantime, If you like this information, please bookmark it now or visit this site more often for you to be updated. You may also share this post to your friends so they may know about the 97-month Car Loan Payments. Comments or suggestions about "97-month Car Loan Payments to be Approved" is important to us, you may share it by using the comment box below.